Biggest strength in 2016: In a tough 2015 campaign where Wagner struggled on both sides of the ball, Houghtailing’s squad finally got a glimpse of strong play from a player on whom the Seahawks will be relying on next season, RB Matthias McKinnon. Wagner’s multi-faceted running game, led by McKinnon, should be their offensive focus. On defense, LB Najee Harris returns, who led the Seahawks in tackles for loss last season with 10. Biggest Challenge In 2016: Though Wagner’s awful defensive numbers did partially stem from mismatches against FBS schools Rice and BYU, the Seahawks did give up 30 or more points in nine of their eleven contests last season, something they need to fix. They’ll be looking to plug new names in on offense, too, since the defensive side of the ball loses a lot to graduation. Biggest Departures: Four year contributor DE Mike Mentor graduates, who had 49 tackles and led the Seahawks in sacks last year with seven. His presence will be missed, and might also mean Harris will get more double-teams this season. Also their leading defensive back, CB Deangelo James, also finished his time at Wagner after leading the Seahawks with 3 INTs. Players To Watch: Though QB Alex Thomson returns this season (1,085 yards passing, 10 TDs), QB A.J. Long, a transfer from Syracuse, promises to push him in August for reps on offense. There should be more new faces joining McKinnon at running back, too, like junior RB Denzel Knight. Biggest Game: Sacred Heart, 10/1/2016. 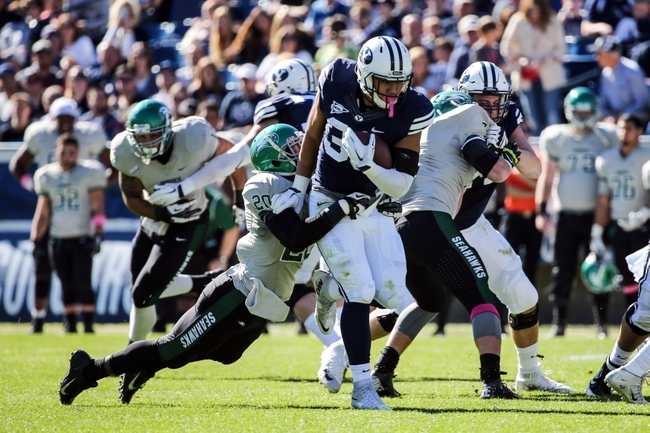 Like 2015’s, Wagner’s out-of-conference schedule is daunting, with two FBS games. Though expected losses vs. Boston College and UMass won’t tell us much about the Seahawks, the first home game vs. an FCS school in 2016 at Hameline field will tell us a lot about what to expect from Houghtailing’s squad ths season. Wagner In Two Sentences: The bottom line is: How far along is Houghtailing in his rebuilding of the Seahawks? Assuming he’s pointed in the right direction, Wagner should manage more wins than last year’s 1-10 season – but over .500 seems like a tall order.